Dental Group of Chicago/Bloomingdale (Chicago) - Book Appointment Online! Dentist Alexander Reznikov, DDS, Konstantin Gromov, DDS & Antonio Rossi, DMD, Chicago IL, practices a full scope of general and cosmetic dentistry with expertise ranging from porcelain veneers to dental implants, crowns and bridges. Dr. Reznikov, Dr. Gromov and Dr. Rossi can now correct a wide variety of so-called permanent cosmetic dental problems, and can literally redesign your smile. We know how busy our patients are with everyday business and we KINDLY REQUIRE A 48 HR NOTICE FOR CANCELLATIONS TO MAKE SURE THAT WE CAN SEE ALL OUR PATIENTS AT THEIR PREFERRED TIME SELECTIONS. 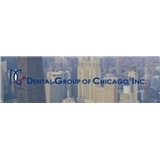 All the people in the Dental Group of Chicago were friendly and professional. Dr. Reznikov and his dental assistant were great.